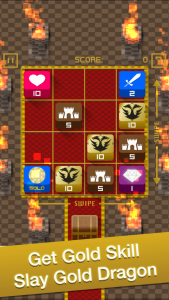 Sword & Dragon is a deep-thinking “Sliding Tile” puzzle game with fantasy and RPG elements for iOS and Android. 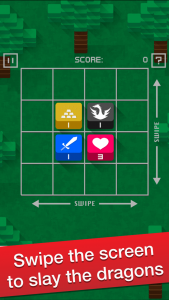 Pit your skills against 100 challenging levels, each with its own mission, swiping the screen in four directions to slash and slay dragons, protect hearts from dragons, and collect gold and gems. There are 100 levels in total. 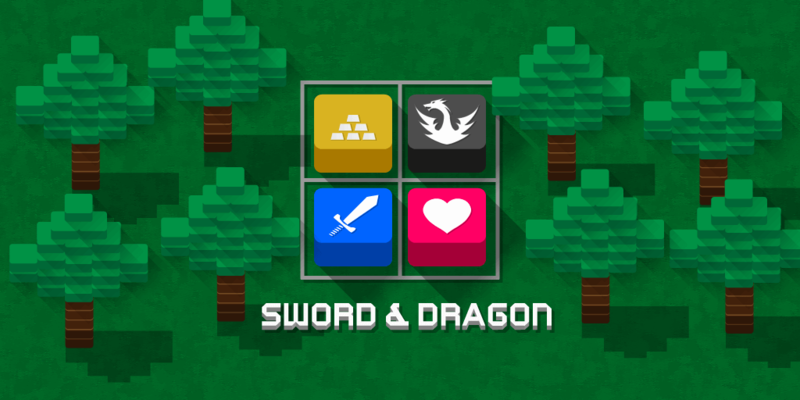 Swords can attack dragons and collect gold and gems. 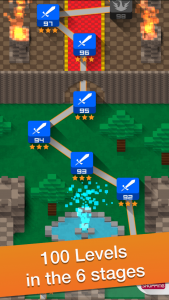 Swords can also attack the (stationary) fortresses, which act as obstacles. Dragons attack hearts (lives). 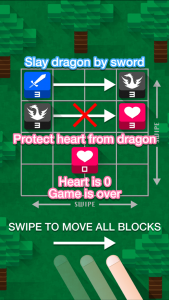 The Boss Dragon can attack hearts in four directions, up, down, left, and right. At the Desert Stage, the number of moves is limited for each level. At the Glacier Stage, the Ice Dragon appears and attacks your swords. Collect the Fire Skill with your sword to melt the Ice Dragon. At the Volcano Stage, the Fire Dragon attacks your swords. Collect the Water Skill to extinguish the Fire Dragon. At the Castle Stage, the Metal Dragon attacks your swords. Collect the Diamond Skill to grind down the Metal Dragon. At the Dragon Room Stage, the Gold Dragon attacks your swords. Collect the Gold Skill to defeat the dragon pound for pound.